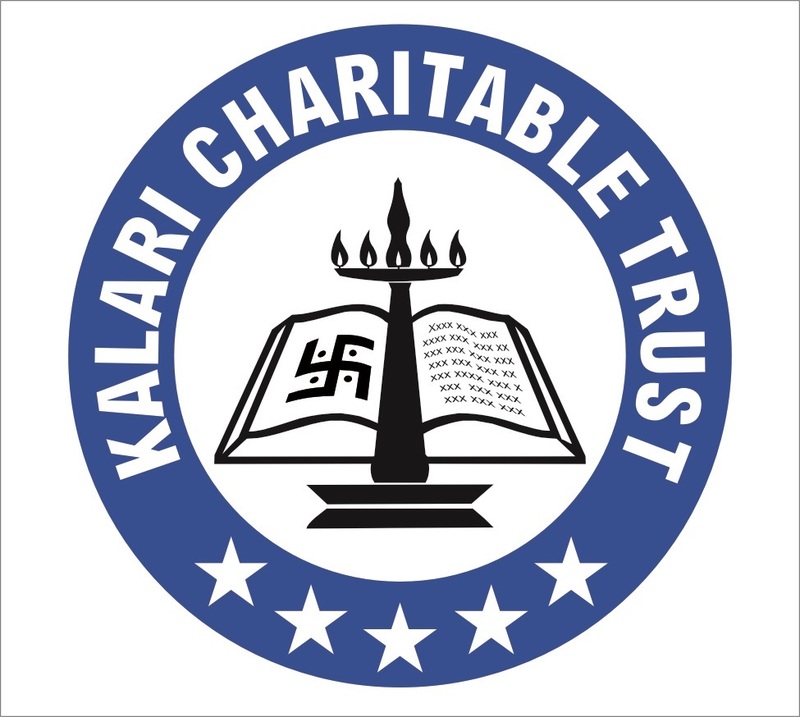 Kalari Charitable Trust (KCT) is a Charitable Trust of the Linguistic Minority of Malayalee Kalari Kurup Kalari Panicker community living all over India and abroad. 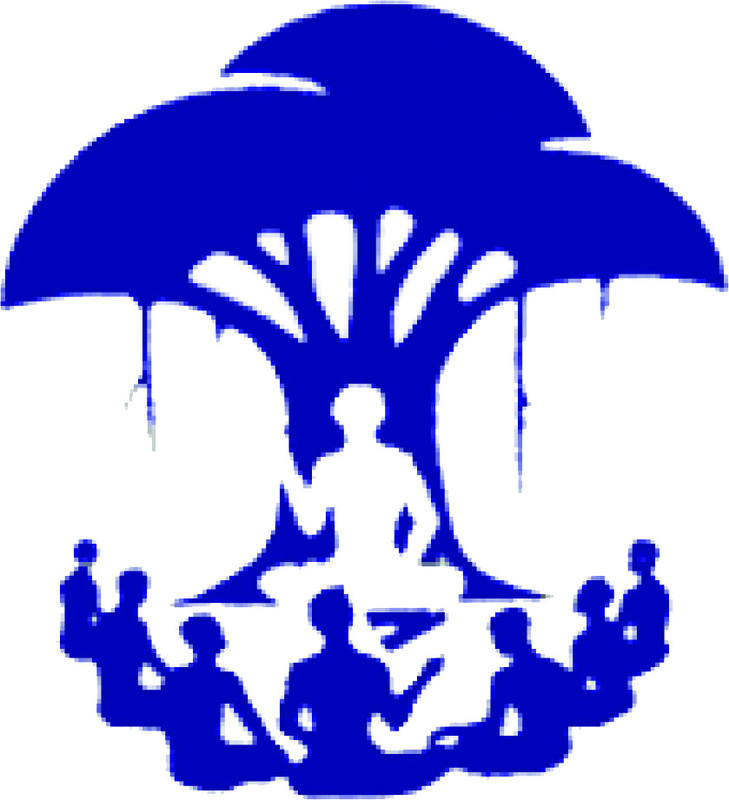 "Kalari Kurup Kalari Panicker" has a rich tradition of practicing Vedic Astrology and Ayurveda treatment as "paaramparya chikilsa" (profession of Ayurveda as the traditional lineage of the generation). This community was the supreme authority for teaching of Martial Art (Kalarippayattu) and war techniques to the then soldiers of medieval time at central Kerala and Malabar region. Also our forefathers were the village teachers to educate the Kerala community before the western educational system influenced south-west coast region of India. We are the cent percent literate community of Kerala in since medieval time. Conscious of the needs created by the fast growth of Medical and Health professions education and the continuous international developments in education theory and practice, KCT is dedicated to the mission of educational development in Medical and Health training institutions with priority to innovation, integration, relevance and excellence. 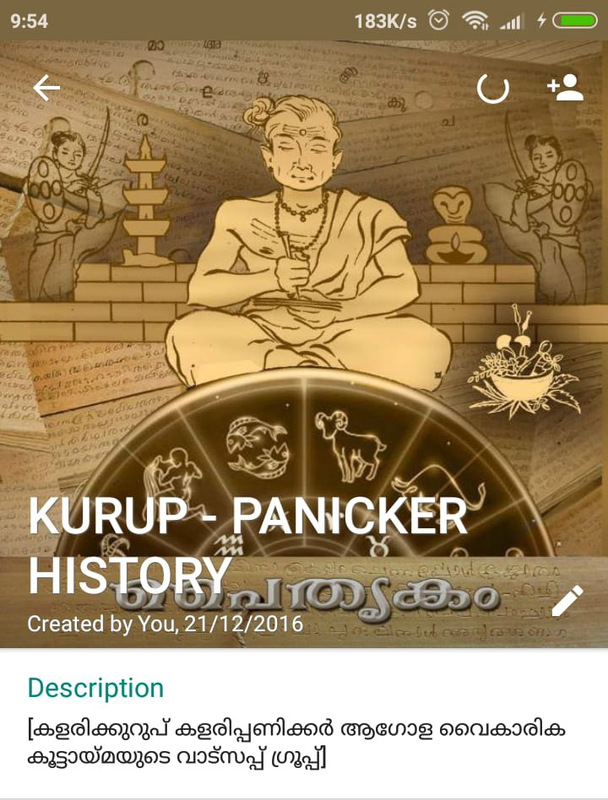 "Kurup panicker history" a whatsap group was created and started on december 2016 under kalari dot com, a global Group of kalarikurup kalaripanicker Community residing across the world. It has more than 250 members and we have completed our great successful 2 years now with enthusiasm and full of energy. The main aim of this group is to explore our communities tradition, history, culture and heritage. Apart from that we have to create an awareness about our community among us. During this 2 years coveted journey we have achieved a mile stone by launching "PAITHRUKAM" a book which reveals the history, culture, heritage and custom of our community. It is an epic of kalari kurup/ kalari panicker.